At the end of the day, not everyone has a wallet beefed up enough to be able to purchase a tablet such as an Apple iPad or Samsung Galaxy Note 10.1, however there are plenty of other options out there that are, well almost as impressive – and the Archos 101 Platinum is one of them – a budget Android tablet built to impress those looking for a tablet that’s both decent and affordable. The 101 Platinum is very similar to some of Archos’s other tablets that we’ve seen announced over the last few months, sporting the typical boxy, square-like design. While some people do prefer to have tablets with rounded edges so that they can hold them in comfort, the 101 Platinum feels extremely good to hold in the hand – partly due to the fact that it has been created out of solid plastic and aluminium. And this is shocking, because it only costs £199. So where’s the trade off? Well this isn’t the thinnest tablet on the market though at 10mm, neither is it the lightest at 636g. However looking around the 101 Platinum, you’ll notice the usual techie bits’n’bobs. At the top of the tablet, you get nothing, with the left side housing the power key that also doubles up as the lock button, the volume rocker, a micro SD card slot, along with two connectivity ports, the charger port – which is annoyingly made for Archos’s own tablet charger – and the 3.5mm jack for things audio related. The front is dominated by a rather large 10.1-inch capacitive touchscreen, offering up a 1280×800 resolution that’s capable of providing some sharp tones and bold colours. Again though it’s far from the best out there and is certainly no match for the iPad’s Retina display. Powered by a quad-core processor clocked at a promising 1.6GHz, the tablet is capable of carrying out perpetual tasks on a regular basis, proving to be one of fastest budget tablets that you can currently find on the market. Also, you get 2GB of RAM and 8GB of internal storage – and while this can be expanded via the micro SD card slot, it’s just not a good enough to see only one memory option. Price is probably the reason why Archos has decided to keep the overall Android Jelly Bean operating system at a more stock experience. Although one could easily argue that it would’ve been nice to have seen some sort of personalisation attempt from Archos, helping them differentiate from the constantly growing competition out there. Being a typical Android device, you get access to all of Google’s services such as Gmail, YouTube and Maps, with the ability to download a lot more from the Play Store – the place where you’ll be able to find apps and games. It’s also worth commenting on the fact that the tablet’s stock browser is great to use. Archos has always been known for its excellent entertainment devices, although sadly, the 101 Platinum isn’t exactly the best tablet for solely watching videos and listening to music on – video and sound quality are acceptable rather than inspired. You get a 2- megapixel rear-camera, along with a front-facing for video calling, as well as HD video recording. Sadly this is one of the worst cameras I have seen on a tablet. Colours just lack clarity and colour. The 101 Platinum features a rather decent battery that’s capable of getting you through a full day – maybe not as impressive as rival, pricier tablets – but it’s still impressive, nevertheless. If you are in the market for a 10inch tablet the 101 Platinum is well worth considering. While the camera and sound quality are not the best, you’re still getting an impressive package for just £199! The tablet’s metal casing and impressive display – not to mention the fast processor – give it the edge over many of its budget rivals. 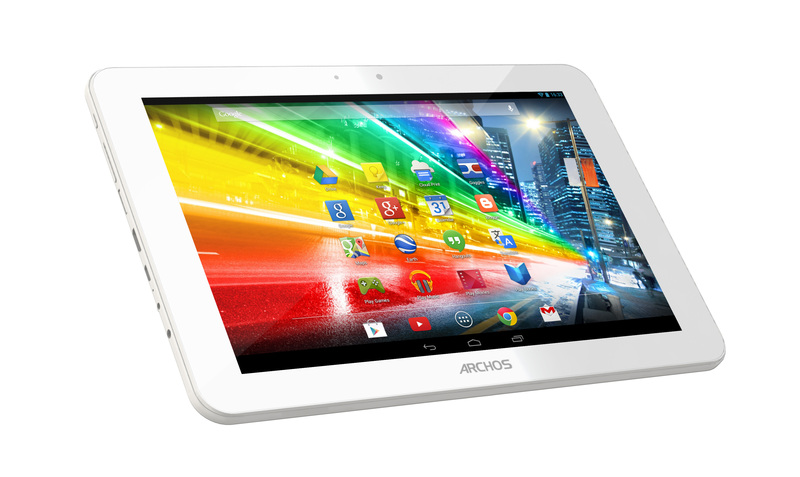 Where can I buy the Archos 101 platinum?